Every single thing (except crochet thread) is from Bella Blvd! the Designer Tape, papers and chipboard letters! check out all of the inspiration! 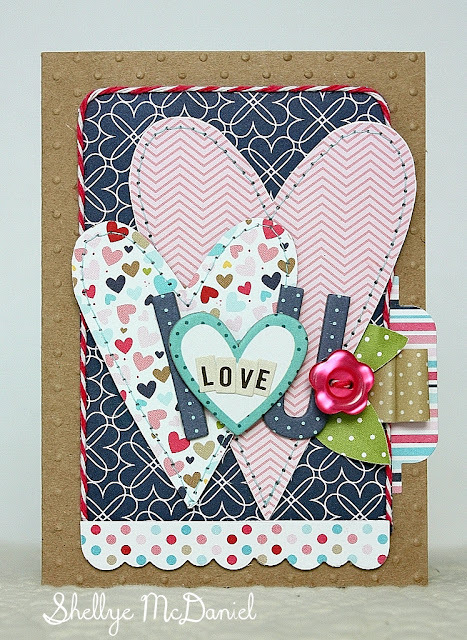 love all the stitching and details on your cards Shellye! Super !!! Loving the designs and the colors! 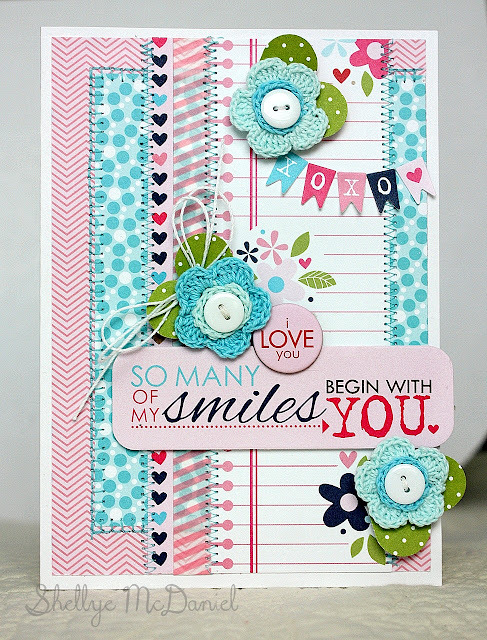 Those are sooo darn pretty - just love the pink and teal combo! Love your cards Shellye, totally love the Kraft with the Kiss Me collection - who would have thought! Oh wow...these are both just fabulous Shellye! I really like these papers:) Your designs are fantastic:) Love these..tfs!